to ±10ppm and temperature to -40o to +85oC. 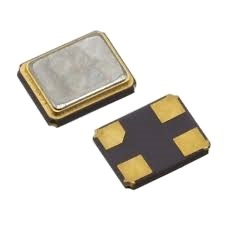 This smd oscillator is RoHS compliant. High output voltage 90% Vdd min. Low output voltage 10% Vdd max. Phase Jitter (12 KHz ~ 20MHz) 20pS max. Period Jitter (Pk-Pk) ±50pS max.